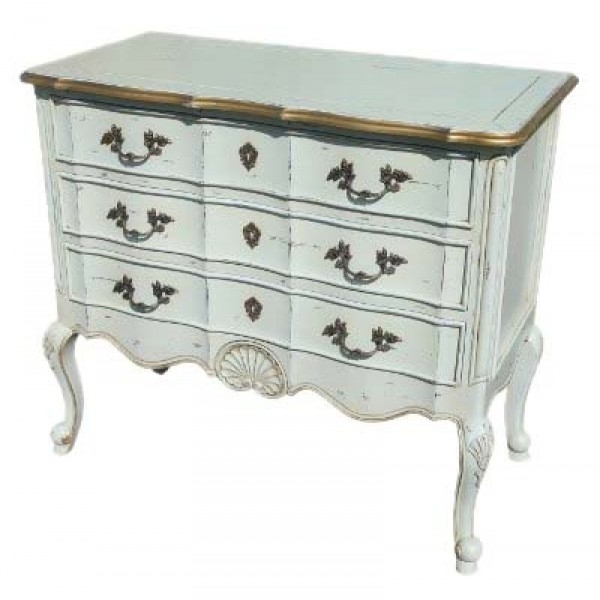 Inspired by the French Bergere era yet with a wonderful boudoir styling our 3 drawer Eloise dresser will be sure to impress, Distressed finishing, practical with a unique air of glamour about it. This item has a deliberate distressed finishing to enhance the aged effect. Please note like all of our distressed range the styling is deliberate to create the aged look.